Comment: We want to have a spiral staircase installed to gain space on upper landing. Comment: We're ready to start a kitchen remodel, and our first step is to remove a load-bearing wall between kitchen and dining room and replace it with a beam, flush with the ceiling. Also involves removal of a sliding glass door and some wall framing & sheathing. Comment: Need to install 2 Home Depot cabinets at The Coloradan (80202), a new high rise condo at Union Station? Cabinets are not allowed to be screwed into the floor. The HOA is requesting the cabinets be installed by utilizing PL adhesive to attach blocks to the hardwood flooring to âanchorâ the islands, and then screw into the blocks down by the base which will be covered by the baseboard. . Comment: Framing around window is warped (wood) and coming loose. Denver Carpenters are rated 4.77 out of 5 based on 2,898 reviews of 219 pros. 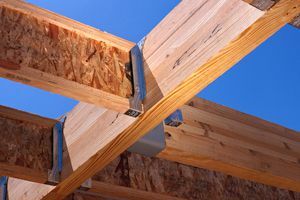 Not Looking for Carpenters Contractors in Denver, CO?